Garmin has announced the launch of its lifestyle watch - Instinct, which is a GPS-enabled smartwatch with built-in 3-axis compass and barometric altimeter plus multiple global navigation satellite systems (GPS, GLONASS, and Galileo respectively) support and wrist-based heart rate monitor. The Garmin Instinct comes in a fiber-reinforced polymer case and is thermal, shock, and water resistant (US military standard 810G). The fiber-reinforced polymer case adds strength and durability, and the chemically-strengthened, scratch-resistant display is high-contrast enough to read in bright sunlight, Garmin said. Seamless GPS Integration: Built-in 3-axis compass and barometric altimeter plus multiple global navigation satellite systems (GPS, GLONASS, and Galileo) support help track in more challenging environments than GPS alone. Monitor and Train: The Instinct GPS watch monitors heart rate, activity, and stress throughout the day when users are ready to train, they are covered with preloaded activity profiles for running, biking, swimming and more. Instinct is loaded with various multiple sports modes like running, cycling, swimming, climbing, skiing, rowing, weightlifting and yoga. 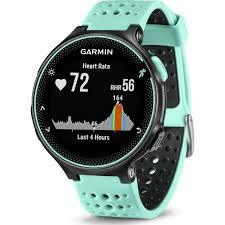 Garmin Connect: The watch can be paired with the phone and Garmin Connect online fitness community for automatic uploads, live tracking and the GroupTrack feature. Designed for the outdoors, the new Garmin Instinct will be available in three colours- Flame Red, Graphite and Tundra at Rs 26,990.